Andreychuk, Raynell, b 14 August 1944 in Saskatoon, Saskatchewan. (Photo: Raynell Andreychuk.) Lawyer, judge, diplomat, Canadian senator. She graduated from the University of Saskatchewan with a BA (1966) and LL B (1967) and then established a law practice in Moose Jaw, Saskatchewan. 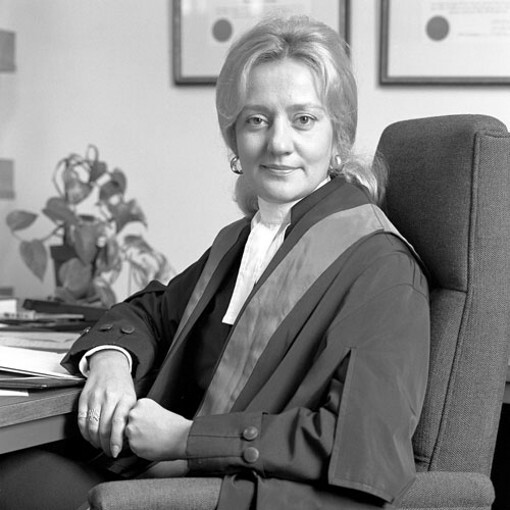 In 1976 she was appointed a judge of the Saskatchewan Provincial Court and then helped establish a Family Court in Regina under provincial jurisdiction. She also served as chancellor of the University of Regina in 1977–83, and in 1985 was appointed as an associate deputy minister for social services in Saskatchewan. Andreychuk was named as Canada’s High Commissioner to Kenya and Uganda as well as ambassador to Somalia in 1987. She was then appointed as Canadian ambassador to Portugal in 1990. In 1993 she was named to the Senate of Canada, the first woman from Saskatchewan to assume a position in the upper house. She has served on several important senatorial committees, including a Special Joint Committee for the Review of Canada’s Foreign Policy and the Standing Committee on Legal and Constitutional Affairs. In 2003 Andreychuk introduced a motion in the Canadian Senate (which subsequently was passed) calling on the Government of Canada to recognize the Famine-Genocide of 1932–3.